Beyond Investigation Magazine - The Online Chronicle on ghost hunting and other paranormal investigations. The online magazine dedicated to the paranormal and ghost hunting, and home of KBIM Paranormal Talk Radio. Inside the Beyond Investigation website you will find photos, video clips and EVP's from our own investigations as well as the submissions of our readers. Interviews with paranormal experts in ghost hunting, Ouija, Tarot and psychics. Ghost hunting tips from experienced ghost hunters. Ghost stories from all over the USA. Our very own, Chris the Scared Mortician's column, "It Has A Face!" Ghost hunting equipment suggestions from veteran ghost hunters. KBIM Paranormal Talk Radio Show Archives. Inside info from the FX industry on how some hoaxes are made. Join the live text GhostChat here. 6/18/2008 - Have you ever had a paranormal experience? Are you willing to give us a few minutes of your time to tell us about it? We would like to hear from you and it can be completely anonymous. Go to the survey file, fill it out and click "submit" when you are done. Listen to the interview Pat and Brian had with Carmen Reed Snedeker (The woman the movie was based on) and Ray Garton (The original author of the book surrounding the reported haunting: "In a Dark Place" ). This is the first time in 17 years these two have spoken to each other since the intial contact to write the book by the Snedekers and Ed and Lorraine Warren. We are in the process of editing all of our archives to remove the music, so that we can allow listeners to download podcasts of the shows archives. We are getting a lot of requests for this interview, so we have posted it here: http://www.beyondinvestigation.com/radio/mp3s/carmen_reed_interview_7_15_09.mp3, or a lower quality, smaller file version at http://www.beyondinvestigation.com/radio/mp3s/carmen_reed_interview_7_15_09_24k.mp3. Keep in mind that we had an audio problem that had prevented Ray Garton from being heard for about the first 10 minutes when he called in, but it is fine after that. Watch your favorite paranormal investigators on VH1! 5/27/2009 - Yes, that was us. Beyond Investigation was on VH1's reality TV series, "New York Goes to Work", starring Tiffany "New York" Pollard. VH1 viewers voted for New York to apply for the job of "Ghost Hunter", and Beyond Investigation was her prospective employer. On this investigation, New York joined; BIM Founder - Pat, psychic - Erika Frost, skeptic - Steve, and Chris the scared mortician. The BIM Team had a wonderful time working with New York. Although she made a first class effort to overcome her significant fear of the paranormal, ultimately she was not cut out to be a ghost hunter, or as we prefer, "paranormal investigator". Pat would have loved to have handed her the $10,000 bonus, but just like being an employee at a nudist resort, not everyone has what it takes to sit in a dark room and make contact with the spirit world. If you haven't seen the show, please visit VH1 and look for "New York Goes to Work". The full episode may be available for some time here. "Ghost hunting is NOT cute." Cast your vote if you want to see VH1's "New York" try get a job with Beyond Investigation. But remember, each vote will cost you 1$ plus text message rates on your cell phone. Watch the campaign video at VH1.com. Then, watch "New York Goes to Work" with Beyond Investigation on VH1. Click here for the behind the scenes videos. Wednesday Nights... Tonight's show can be heard on as well. 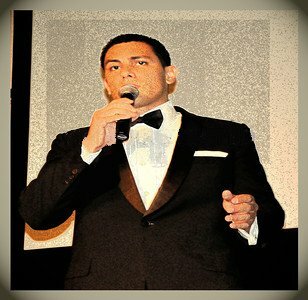 K-BIM Paranormal Talk Radio: "The Pat and Brian Show"
If you want more information regarding the incredible Sinatra singing voice of Sergio Vellatti. 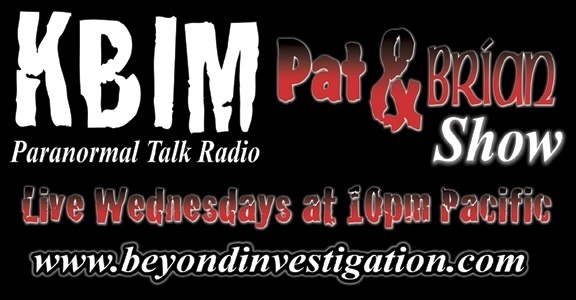 New additions to K-BIM ( a scheduled format, more hosts/shows, and we are bringing back some of the old time radio mystery shows)...The news, opinions and usual obnoxious bantering between the fat duo, it's all here on K-BIM Paranormal Talk Radio, "The Pat and Brian Show."